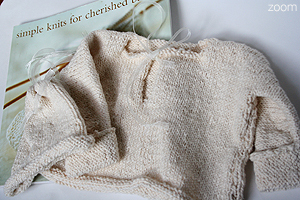 This easy to knit sweater & matching hat combination makes a great gift for a new baby. 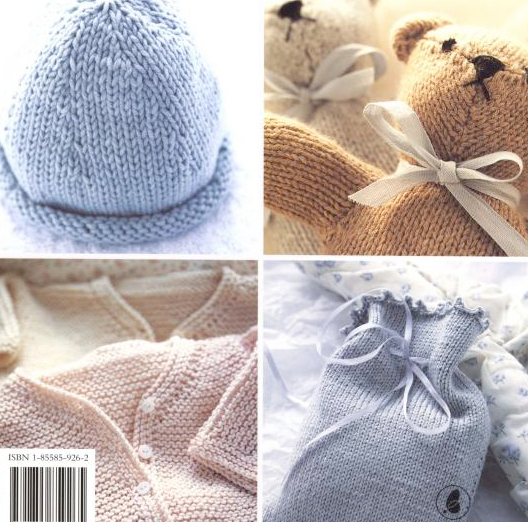 Classic, practical and, knitted in Blue Sky Alpacas handspun cotton yarns - perfect new baby gifts, or for YOUR treasured little one. A great first project. Sweater and Hat shown in Blue Sky Handspun Cotton. This beautifully simple sweater was originally done in the book in cashmere, but works wonderfully in any baby-appropriate medium weight yarn (cashmere, soft merino,etc). It can be tied at the back, or worn as a keyhole tie front. All the projects in this book are simple, and flexible, allowing for a great amount of flexibility with yarn choice, as well as being great projects for beginning knitters.